New Delhi [India], Apr 6 (ANI): Bahujan Samaj Party (BSP) supremo Mayawati on Saturday sided with the BJP patriarch LK Advani over his blog post, saying it gave “reality check” on the functioning of the “anti-people” Modi government. 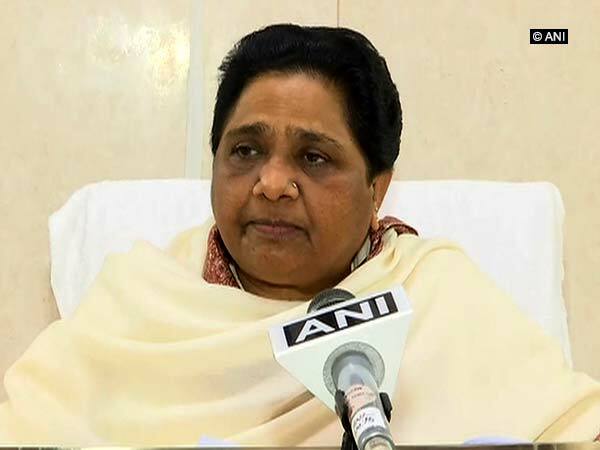 “LK Advani’s reality check admonition on the functioning of the Modi government on the party’s foundation day is a serious no-confidence against them, besides a fervent appeal to the people that this despotic and anti-people Modi government is unworthy of returning back to power,” Mayawati tweeted while taking a dig at the incumbent government. Mayawati’s statement comes after Advani in a blog post on April 5 said that the BJP never regarded its adversaries as "enemies" or "anti-national".